For the second time since March, a warrant has been issued for the arrest of investigative journalist John Caylor for publishing the expunged court records of a Mobile area attorney and federal court clerk. On March 30, Caylor turned himself in to Daphne police for publishing the expunged court record of Thomas Scott Smith III. Caylor posted bail shortly after and faced a May 3 court date in Daphne Municipal Court. Caylor appeared there before Judge Michael Hoyt and was ordered to remove the expunged records from his website, insider-magazine.com, while the case progresses. Hoyt continued the case until Aug. 9. On the morning of May 4, Daphne Police Cpl. Jason Vannoy said Smith filed a second complaint with Daphne police alleging Caylor had yet to comply with Hoyt’s order. A warrant was issued for Caylor’s arrest later that day. However, by mid-morning Wednesday, the expunged documents had been removed. According to Vannoy, investigators expected Caylor to turn himself in at 9 a.m. this morning, but as of 4 p.m., he had not done so. Vannoy said Caylor previously expressed concern for his safety if incarcerated due to the nature of his work as an “investigative journalist,” something he also previously expressed to Lagniappe. Earlier this week Caylor claimed a U.S. Marshal, Josh Devine, had contacted him to ask him to remove Smith’s records, as well as documents related to U.S. District Court Judge Ginny Granade. Contacted on Thursday, Devine declined to comment on the matter and instead directed questions to the U.S. Marshals Service Southern District Office public information officer, who was not immediately available for comment. 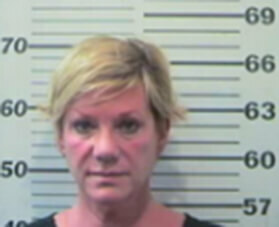 If convicted in Daphne Municipal Court, Vannoy said Caylor faces a $500 fine and up to 12 months in jail. He also faces a civil complaint filed by Smith’s attorney, Thomas S. Smith, which seeks declaratory judgment requiring the permanent removal of the records from the website. The complaint also asks that Caylor be permanently restrained from republishing those documents and required to surrender all copies of the materials in his possession.